Wisdom teeth can cause a lot of problems for a patient, but getting your wisdom teeth extracted is a common and routine procedure. Wisdom teeth often break through the gums in the back of the patient’s mouth between ages 17 and 25. Patients usually have their four wisdom teeth removed in one or two surgeries to prevent problems that wisdom teeth can cause when they break through the gums. In most patients, there is not enough room in the mouth to support four extra molars so when they break through, or erupt, they can cause a great deal of pain for the patient. If the wisdom teeth do not grow in correctly, the gums could become inflamed or the wisdom teeth could become impacted (when teeth grow in at an angle). Inflamed gums can lead to an array of different oral health problems, including gum disease and other infections. If the teeth are impacted, an unnecessary amount of stress can be placed on the surrounding teeth. This could cause the surrounding teeth to become weaker and more susceptible to cracks or fractures. Additionally, if the wisdom teeth are impacted, they could reposition the rest of the teeth in your mouth resulting in a misaligned bite that will require braces or Invisalign to correct, in addition to the removal of the wisdom teeth. Believe it or not, not everyone needs to have their wisdom teeth extracted. It has been estimated that nearly 60% of all wisdom teeth extractions are unnecessary and proper oral hygiene practices are sufficient enough to keep them and the surrounding teeth healthy. Wisdom teeth extraction is necessary, however, if the teeth come in impacted, like we mentioned above, or if they are causing pain or other problems to your mouth and jaw. Before the wisdom teeth are removed, your Omaha dentist will apply local anesthesia to help prevent the pain from extracting these extra molars. Once the anesthesia has been applied, your dentist will cut the gum tissue over the wisdom teeth and begin separating the tissue from the bone. Often times the dentist will chose to extract the wisdom teeth in pieces to make them easier to remove. 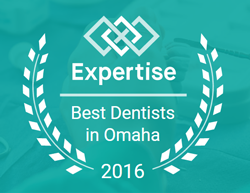 If you are in need of wisdom teeth extraction or any of the other services we offer at Quality Dental Care in Omaha, NE you can contact us here or by calling 402.431.8844 to schedule an appointment.